In operation for more than 50 years, Roman Inc. is the inspiration of Ron Jedlinski. His business was born in 1963 with $500 and an old station wagon full of inspirational products. With a family background in retailing - his father operated Roman's Art and Gift Shop - it was nearly inevitable that Jedlinski would enter the giftware field. 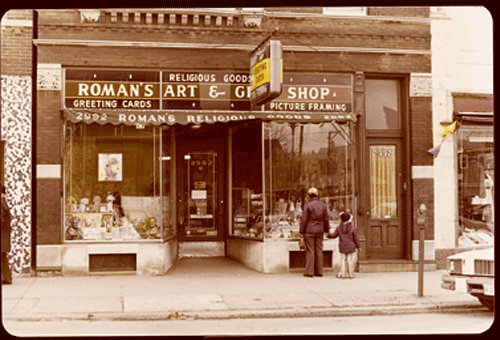 With an office behind his father's store, Jedlinski christened his company Roman's Religious Goods in honor of his father who had given his blessing to the venture. He quickly carved his niche in the religious articles and giftware marketplace, and subsequently expanded into wedding, anniversary, baby, christening and retirement products. As his organization grew, the company evolved into Roman Religious Goods, Inc., followed by the current Roman, Inc. Ownership and management of the company is being passed into the next generation of the Jedlinski family. Ron's daughter, Julie, is co-owner and serves on the Family Board, with her husband, Dan Loughman, who is the company's President and Chief Executive Officer. Julie's mother, Diane, is also co-owner and serves on the Family Board. Roman, Inc. is a leading producer and exclusive distributor of more than 8,000 gifts and decorative accessories. Among the largest privately owned and operated firms in the industry, Roman offers a vast array of Christmas decorations and a wide range of inspirational, special occasion, and year-round giftware. In addition, Roman is known for its award-winning collections that include Fontanini® Heirloom Nativity®, the Joseph’s Studio™ Collection, the Millenium® Collection, The Valencia™ Collection, Seraphim Classics®, and Jingle Buddies®. Roman products are sold through specialty retailers, upscale department stores, select mail-order catalogs, gift shops and internet sites.